It has been a very long time that we geeks have been dying for a new look for iOS and finally in 2013 it took place. With iOS 7, it did. Apple's crisp, newly announced OS update gives the mobile operating system a radical new look and some first-for-Apple features for iPhone and iPad fans, like quick-access system controls, automatic app updates, and Apple's AirDrop file-sharing system. 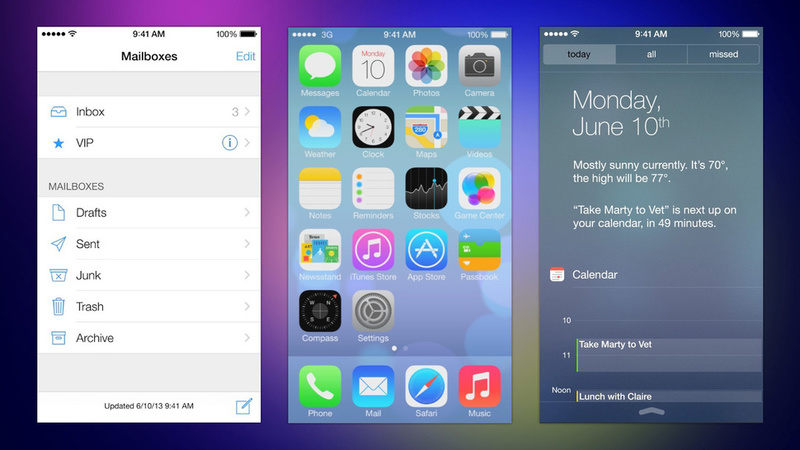 While there are a few notable new features in iOS 7, the new interface is by far the platform's deepest felt and most profoundly changed of the entire batch. 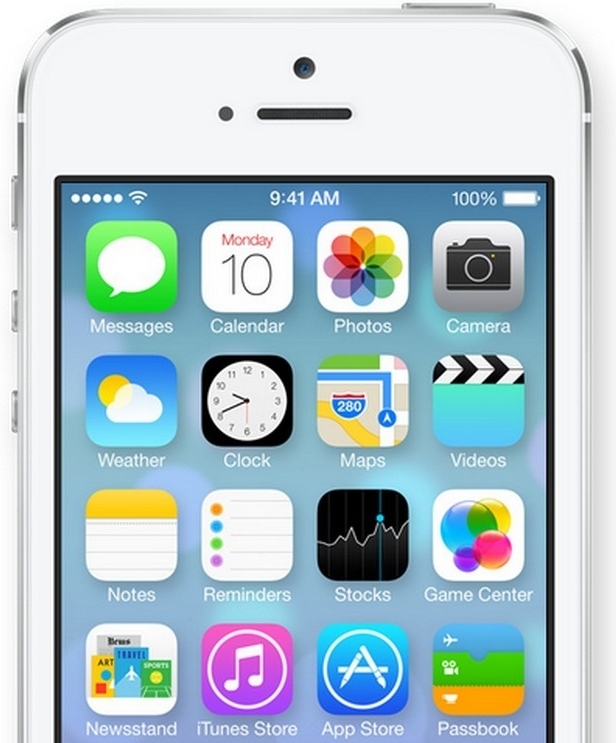 Apple's other features are relatively uninspiring and do little to challenge competitors. Gone are the skeuomorphic interface elements that make icons look slightly bubbly, replaced by flat graphics that take on a more elegant look than earlier versions. When you move the phone or tablet, Apple promises a 3D effect that makes your wallpaper appear some distance behind the icons. Circles enter the design language, along with visuals that look nearly transparent, like a pane of glass. See what we mean in the slideshow above. The most important part of any deep design work is that it feels smooth and connected from screen to screen. We had a chance to sit down with some of the folks from Apple after the keynote and check out iOS 7 for ourselves. The overall look is completely different across the board, from the apps we saw in the keynote to more-minor interface elements such as animated transitions when opening and closing apps. The important thing to note here is that even though it looks completely different, it's still easy to pick up and use right away because the core functionality is largely the same. In other words, browsing in Safari is as easy as ever, but there are now extra tools on hand for sharing via AirDrop, and a smooth tab-browsing interface. One of the few actually new features to come to iOS is the Control Center, which finally (finally!) puts your most-used settings front and center, and is available from any screen. In iOS 7, you can swipe up from the bottom of the display to bring up quick-access tools, like a Wi-Fi meter, brightness, Airplane mode, music controls, and more.Control Center also integrates a small flashlight tool, signaling the death of so many third-party flashlight apps.In the Notifications pull-down menu, three tabs show you all your alerts, the calls and messages you've missed, and a new "today" pane that tracks your goings-on. It's a small but useful expansion of the current notifications pull-down. In addition to iOS 7's Safari overhaul, the biggest change to the browser is a unified search and URL field. The fact that Apple, in its pigheadedness, kept the two separate for some time was a usability thorn in our side. Hence, the grossly outdated update that combines them into one is both gratifying and enraging, since it was such a small tweak that every other mobile OS has been taking advantage of for years. There's more flexibility with browser tabs as well. They now preview as vertically scrolling rectangular cards and look similar to what we've seen on some Android phones. You're no longer limited to eight, and you swipe them away in a gesture, just as with Android. Navigation bars also disappear until you need them, a feature we've seen in many browsers before, and swiping left or right takes you back or forward a page, which we do find really useful -- until that moment you accidentally swipe away from the window you wanted to be on. To note a few other additions: a new filter sorts out links from people you follow on Twitter, and makes it easy to retweet them. You can now scroll from one story in your reading list right to the next. 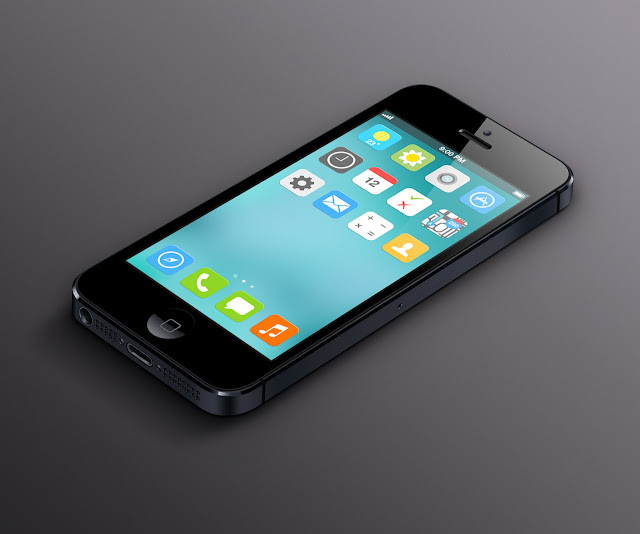 AirDrop works by creating local ad-hoc networks among nearby users. So if you want to share a photo, you'll hit the share button, and automatically see others around you who are also on iOS 7. From their you just tap a friend's picture and iOS 7 uses Wi-fi and Bluetooth to send your photo (and the recipient can accept or decline). 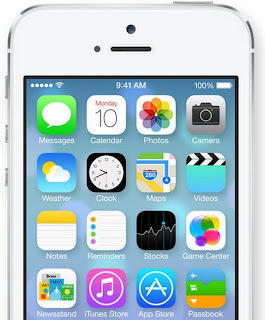 It also offers the option to make yourself invisible to nearby iOS 7 users from the Control Center. Apple did a lot of work reorganizing both the camera app and how images live in the photo app. CNET camera editor Joshua Goldman goes into detail here, but we'll also give you the gist. The camera app surfaces all your shooting modes so you can tap them to frame your shot, such as still, panorama, video, and a square, Instagram-like configuration. Another button will let you apply filters to the still or square shots. On the Camera Roll side, Apple drops the endless list of photos that you may or may not break out into albums. 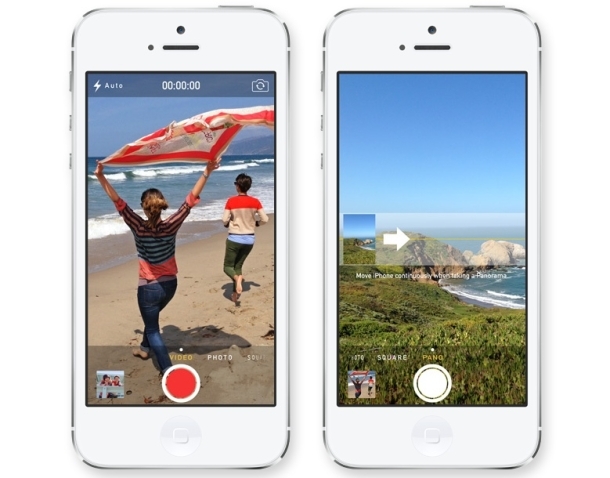 With iOS 7, Apple treats photos as moments in time organized around geotagged locations, not just chronology. This takes a cue from Apple's desktop iPhoto counterpart. One crowd-pleasing party trick is to zoom out and see all your photos from year to year. Sliding your finger along photos the size of confetti brings on a cool, scrubbing effect. It was definitely fun to use in our meeting with Apple, but we're not sure if Apple's photo vision aligns with our own when it comes to finding, storing, and sorting pics. Gunning for Pandora, Google Music, Spotify, Slacker Radio, and pretty much any other music service, Apple's new iTunes Radio expands the pre-existing iTunes with familiar features that include radio stations you can build around a favorite artist, and featured stations. Of course, iTunes Radio will be tied to your Apple ID, so you can use it wherever you have iTunes installed. It's free and will be ad-free for iTunes Match users.We're happy to see Apple join the century, but there's not much new in terms of capabilities here that no one else is doing. Stay tuned for a deeper dive. Apple's favorite digital voice assistant gains some more personality in this latest revamp. In fact, "she" has a brand-new voice; two, if you count the male version you can ask to talk to you instead. Though we have played with the new iOS, the male voice was not included in the beta release, so we'll have to reserve judgement. A new soundwave animation appears at the bottom of the screen when you speak, and Siri's results come up in full screen, not just a tiny card. We did notice that Siri still takes some time to respond search queries, so Google Search still holds the speed record for voice searches. We also like what we heard in the keynote that Apple will be adding "high-quality" for non-English languages over time, including French and German. By far the most substantial addition, and one that's truly useful, is that iOS 7's Siri can trigger actions on your phone's system settings, like play a past voice mail, turn on Bluetooth, and increase the brightness settings. Many voice assistants can't do this, so it's nice that Apple has increased Siri's capabilities this way -- though it isn't clear how deep into the controls your voice can go. 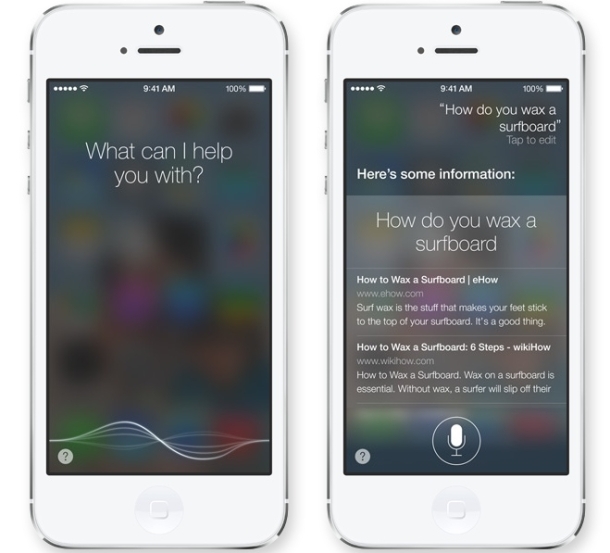 You can also ask Siri to search Wikipedia and Twitter. The days of abandoning FaceTime every time you want to make a straight audio (rather than video) call from your iOS device are coming to a close. Apple announced that high-quality calls over Wi-Fi will complement video calls for those who would rather talk while on the move. A tiny, but enormously time-saving addition, the App Store gets automatic app updates in the new OS. This new feature was bittersweet because while we don't like constantly looking at the updates notification, there are some apps that we want to see the new features before we update. Apple assured us in our meeting that auto updates can be turned off in the settings. Apple may sneer at Microsoft, but it certainly likes its rival's aesthetics when it comes to multitasking. Now, double-tapping the home screen brings up not just tiny thumbnail icons of your open apps, but also a tall preview (like a mini screenshot) of what you're looking at. Borrowing from Android's recent app list, swiping away a preview closes the app. 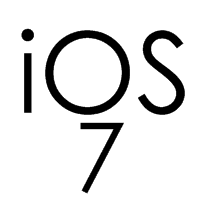 Bad news if you're itching to try out iOS 7 for yourself, because you're just going to have to wait unless you're a registered app developer. The full public release comes to your iPhone and iPad this fall (with no precise date). As usual, registered iPhone developers get a crack at the new iOS 7 beta beginning today, but iPad developers will need to cool their heels for a few weeks. This is the first major redesign of the iOS since the iPhone's first release in 2007, signaling a shift to a more modern look that still stays true to Apple's sharp, clean, almost cutting aesthetic. We like the daring steps forward so far, but a contingent of die-hards will buck at the unfamiliar. Apple adds visual and usability elements all its own, but also continues to borrow (as all the mobile platform-makers do) from some rivals in drips and drabs. We see this sprinkled throughout the OS in the quick-access settings, treatment of browser tabs, and adoption of some circular design elements. iOS 7 brings huge changes in the visual department, which is an important part of the way you relate with your tablet or phone. Yet the really substantial, game-changing new features are few and far between. Apple has a history of keeping its most pulse-quickening news for its next iPhone and iPad announcements. For that, we will have to wait until this fall.